There are many and varied forms of security. 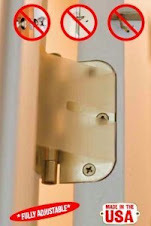 Many people may think that a security device is designed to protect from human intruders. While this is true with locks and alarm systems, CCTV and other sensors, sometimes people also intend to secure or protect their gardens from unwanted pests or animal intruders. Enter the Bell & Howell Animal Repeller. This intelligent device is a stand alone, battery powered sensor and alarm that emits a high pitched sound inaudible to humans, but truly disturbing to animals. This type of device might be the perfect gift for the avid gardener who wants to protect the precious roses or vegetable crop from wild animals. At $29.95 it's a steal. 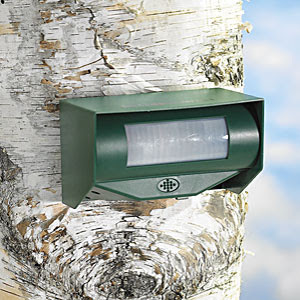 Not necessarily a security device but this unique product might have some security features for helping ward off animals or pests in your yard. You could also use it as a Halloween prop. 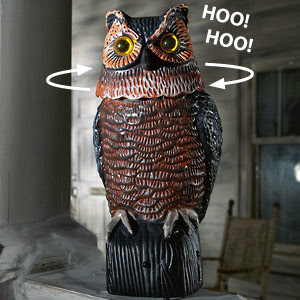 A motion sensing alarm that sounds and looks like an owl. When it detects movement within 4-6 feet, owl turns its head to look and lets out a loud, lifelike “hoo hoo.” It can also be set for head movement only. Life-size and made of durable, weather-resistant polyresin. Can be mounted (hardware included). 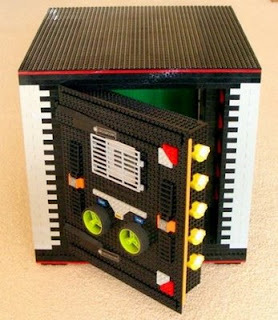 Uses 3 AA batteries (not included). 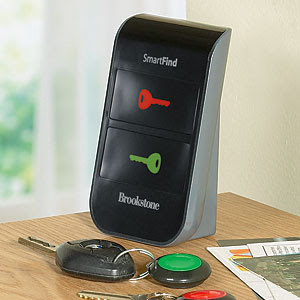 8" w x 7" d x 16" h.
This ingenious device is the perfect gadget for people who constantly misplace their keys. No more morning panics—just press one of the color-coded buttons and wait for the loud alarm to sound, showing you where to find your keys. Do you tend to lose your keys in the couch, under the bed, on the kitchen counter? 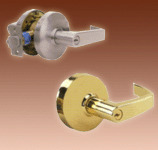 It doesn’t matter, the Wireless Key Finder will find them up to 60 feet away, through floors, walls, even sofa cushions! Living in the St Louis Metropolitan area, I thought it might be advantageous to develop a monthly report here, listing the quantity of robbery, break and enter and theft statistics reported to police departments in various metropolitan localities. It is my intention to display a new report monthly, based of information obtained by participating police agencies. I will not list the actual addresses but I will try to give numbers of instances in Robbery, Burglary, Theft and Alarms. Being in the physical security industry, it is astonishing to discover the quantity of reported crimes. One has to wonder about all the non-reported crimes too. 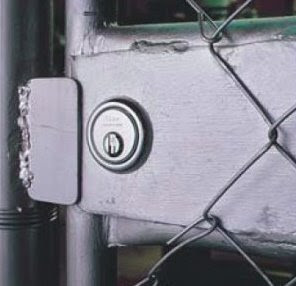 As a locksmith professional and physical security equipment provider, Locks210.com installs many state of the art products that are designed to protect from crimes of these nature. To find out how we can help you to protect your property from potential crimes, contact us for an obligation free assessment. I recently came across an article, in another locksmiths website (C&R Mobile Locksmith - Belleville Il), that explained the story of car keys as it relates to modern times. There is a little history of car keys, a little explanation of why original manufacture or duplication of keys costs so much and some of the theory behind the introduction of these keys. 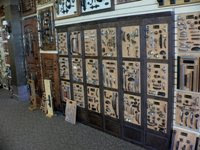 A former ALOA representative also chimes in to explain why locksmiths also tend to charge relatively high prices for duplication or original manufacture. 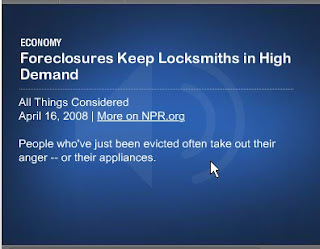 At the time of the article (2002), it was not uncommon for some locksmiths to have paid in excess of $50,000.00 for the suitable equipment required to provide services to requesting customers. Today, it is substantially cheaper to purchase the modern equipment necessary if a locksmith were to consider adding auto-transponder keys and services to the inventory of products, but even so, the prices for making duplicates is considered astronomical. The prices for originals (if you have lost yours, say), is through the roof and sometimes in excess of the monthly car repayment. If you want to read the entire article, click on source below. 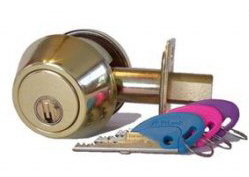 As a St Louis Locksmith, I am often asked about pricing and costs and why they vary greatly between companies. 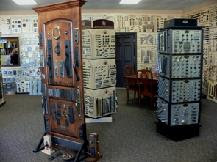 I recently came across an article first written in June 1989 for The New York Times, that described the process and prices that various locksmiths charged for their specialized services at that time. Being 20 years later, it seems that many of the prices have reduced or barely increased, all the while, cost of materials, cost of living and wages have all increased in comparisson. 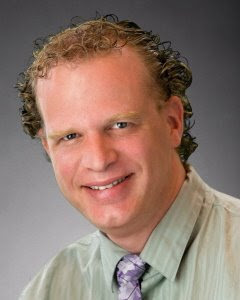 Many customers, even today, continue to perform price checks to compare different companies services and products. 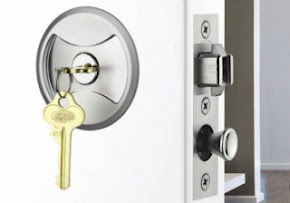 Given the current economic doom and gloom, it is great that most of the locksmith industry continues to maintain considerate pricing of their goods and services. I must admit I'm not surprised that more people are ordering this fantastic product as it truly saves people money, time and effectively secures their homes. Demand is strong and I am finding the need to order in increasing quantities. Another customer suffered a break in where the exact purpose of the strikemaster was designed for. 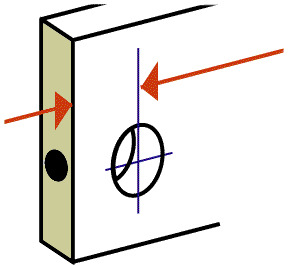 The door, being of solid construction and very good quality, the lock being of reasonable security and aesthetics, did their job properly, but the Jamb (where the door closes into) was made from light grade pine that was 1" x 2" in size. It broke with a small kick from a burglar and almost completely shattered the door frame. The customer had inquired as to how much to get the whole frame replaced, elsewhere, before contacting me. My solution was the most economical and most aesthetically pleasing, negating the need to replace all the carpentry. The client saved 100's of dollars on the job as a result. This sensational new product is built from high-grade materials, enabling it to stand up to some of the toughest and roughest attacks. 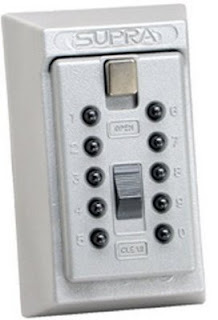 The AP501 Advanced Protection Security Deadbolt uses new technology that has been rigorously tested to meet the highest standards. Zinc-Alloy and Steel construction. Fail-safe weatherproofing. 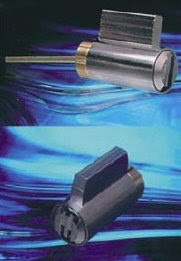 Locksmith and lockpick-proof Tag Key. Weighing over 6 pounds, we call this lock "Tank Tough". The lock is fully functional in sustained temperatures of -35 degrees Fahrenheit, and up to +130 degrees Fahrenheit. Waterproofing allows it to resist rain and moisture of tropical storm proportions. 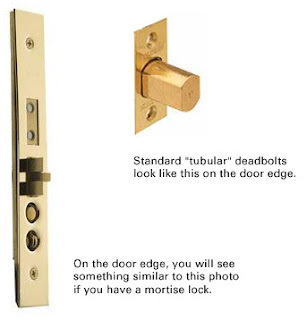 Momentarily hold your Tag Key key to the lock, and the deadbolt releases - no key holes, no opportunity to be picked. Easy to install, impossible to take down. 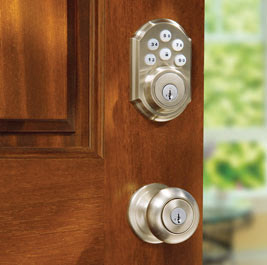 The AP501 is specifically designed to adhere to North American door standards, so in most cases, the AP501 will simply replace your existing deadbolt - the only tool you'll need is a screwdriver. THX has more uses then just making a starship battle sound awesome you know. 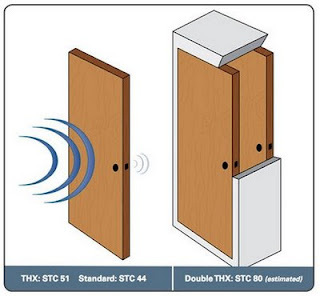 That’s why THX has partnered with Serious Materials to develop some new sound proof doors. The QuietHome soundproof doors are the 2 1/4-inch thick THX-certified doors that claim to be a full 85% acoustical improvement over any other sound proof doors. How does it work? QuietHome Doors incorporate Serious’ proprietary viscoelastic polymer-based constrained layer damped system, a multi-layer design and advanced seals throughout the door edge. 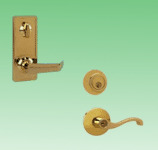 The doors are made up of stainable wood, and come in a pre-hung door package. 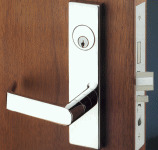 You wouldn’t want to just replace your front door with it. Well, maybe you would if you are super loud. Your neighbors would appreciate it. 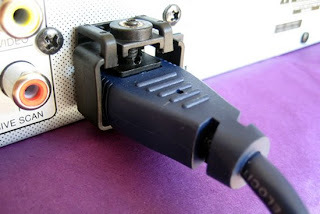 But it’s designed for high-end home theaters, commercial studios, offices and conference rooms etc. 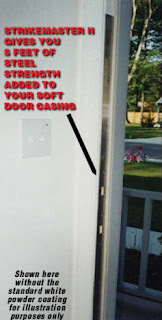 The doors will cost you $2,500 and will block out so much sound your neighbors will think the place is vacant. iPods and MP3 players have quickly become some of the most popular and widely used portable media players with people of all ages. Their frequent use while people are on the go and are less attentive to their surroundings – and the visible white ear buds – have made them an easy target for would be thieves in urban areas, on campus, and on public transportation systems. Without built–in anti–theft deterrents or subscriptions, iPods and MP3 players are left fully operational if stolen. 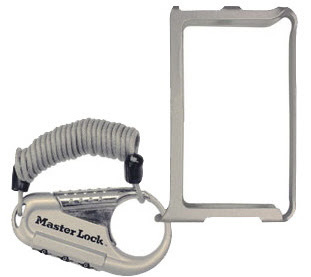 With these factors in mind, Master Lock® created the iPod iCage™, a locking skin for protecting your iPod player. The iCage creates added security and convenience to your media player with a lightweight metal skin, scratch resistant cover, and set-your-own combination lock and cable. Most iPod users purchase a skin for scratch protection – why not buy a skin that adds a convenient security solution as well? The following statistics are a few years old, but with the quantity of Apple products and other MP3 players ever increasing, so is the quantity of crime related to these devices. And dont forget the unreported instances. 2007, robberies of iPods on the Metro alone account for approximately 4% of all robberies in the city, compared with well less than 1% of robberies in 2005. March 21, 2007, exact numbers in Seattle are hard to pin down, but the latest police figures show 135 iPods have been stolen, many by force, over the past 3 1/2 months. 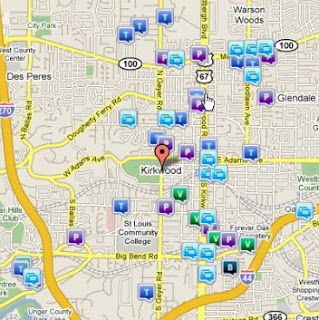 There were four reported iPod robberies in 2004, 102 in 2005, and 193 in 2006. 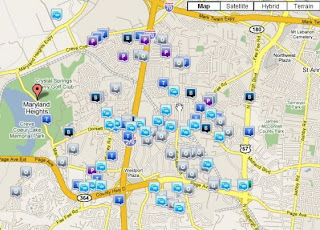 2004-2006, iPod robberies accounted for 23% of the increase in robbery in the entire city over that time. There are a few other brands that are impervious to this type of attack including Bilock, Multlock, Abloy, Kaba, Assa, Schlage etc.